Preheat the oven at 425 F.
Lay the dough on a floured surface and cut it into 6 equal pieces. Prick it with a fork (and eventually sprinkle with sugar). Bake for 15-20 minutes until golden brown. Meanwhile whip the cream and the vanilla with an electric mixer. When the tartlets are cooked, let them cool down to room temperature. 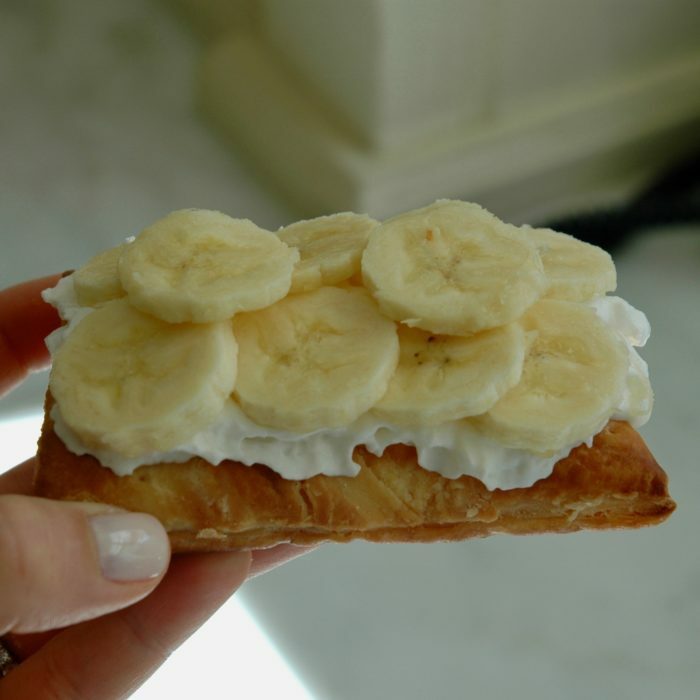 Right before serving them, spread some whipped cream on top and add sliced of bananas to cover the surface. Keep on going until they all done.